Every years the company will reward the employees who had good performance in the past year, sometimes money or gifts. At Seeedstudio we also have such tradition. 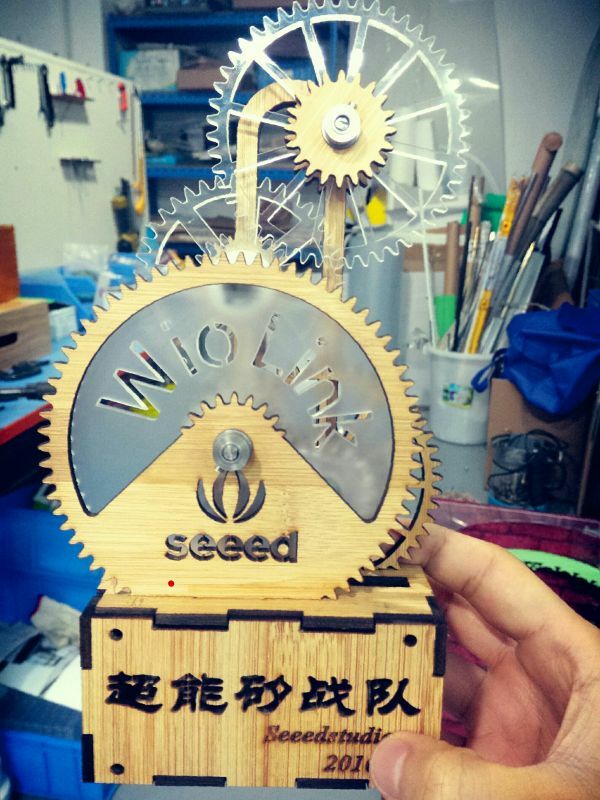 But, as a team with so many makers, we want something different.This year, we made a beautiful steam punk style cup for those guys.The Wio Link team got the"The Best Team Award". Here we will share the instructable of this cup. Here we need a laser cutter to cut the acrylic and bamboo board. You can find a laser cutter at a maker space. Or try the service supplied by Seeed. 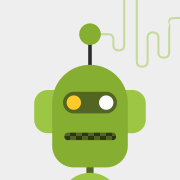 Download the 2D file attached and cut it. Please note that there are some small piece, don't lost them. Above image is an assembly exploded figure of the cup. This will help you to know how to make the cup well. After we had cut the bamboo and acrylic board, we are going into the quite difficult step. It's no an easy work, need some skill and patience, and it may cost half a day or even longer. View the image attached and the assembly exploded figure to get details, anyway, things will come our finally. After the most difficult step, this step will be much more easier. What you need to do is make a box on the base. 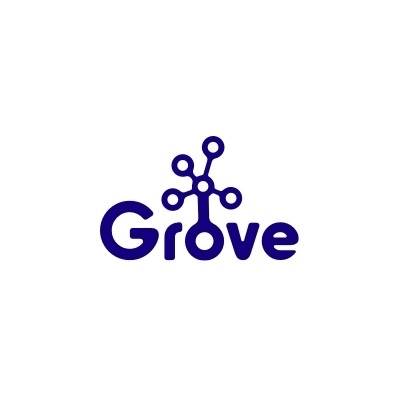 In this system Grove Joint V2 as the controller. 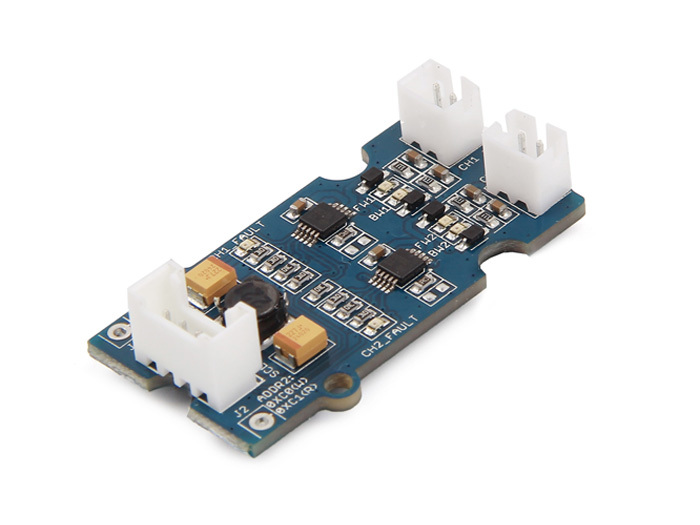 Grove - Mini I2C Motor Driver connect to I2C Port of Joint, and drive the stepper. 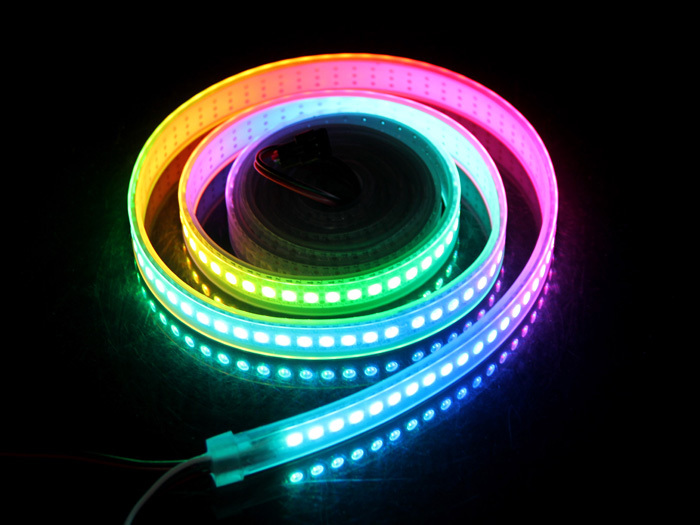 D3 of Joint connect to WS2812B leds. We need to do some soldering as well, to line out the button and 5V Input. Seeeduino GPRS was in Arudino Leonardo bootloader. So if you had ever used Arudino, it's easy for you to make this step. If not please put hand on www.arduino.cc to getting started. 1. The code you downloaded is not an Arduino library, it's a sketchbook, which is include all the library the project need. 2. Unzip the file you had downloaded, you will get a folder named Reward2015. 3. Open your Arduino IDE, click File > Preferences > Sketchbook Location, browse to the folder we had mentioned above - Reward2015. Then click OK to save it. 4. 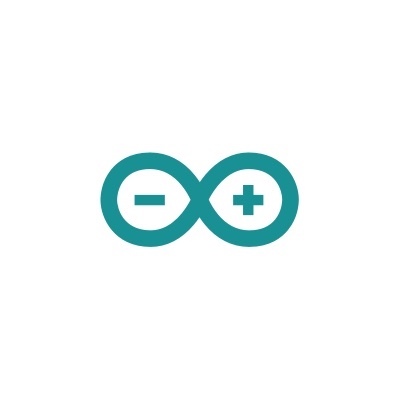 Close and re-open Arduino IDE, click File > Sketchbook > Reward, then the main code is open. 5. Choose the right board(Arduino Pro or Mini) and port to upload the code. Refer to the image above. Notice the button on the base, it is the power key and function button. Short press to turn on/off the motor. Long press to turn off the power. Get IMU data from your motorcycle while you ride!